Because we know identifying an ancestor’s birth can be a challenge, we are sharing more records that you can use as substitute to vital records. See Substitute Records for Births in South Carolina to catch up with the resources we have already shared. Cemeteries have always been a great resource for discovering details about ancestors and extended family. 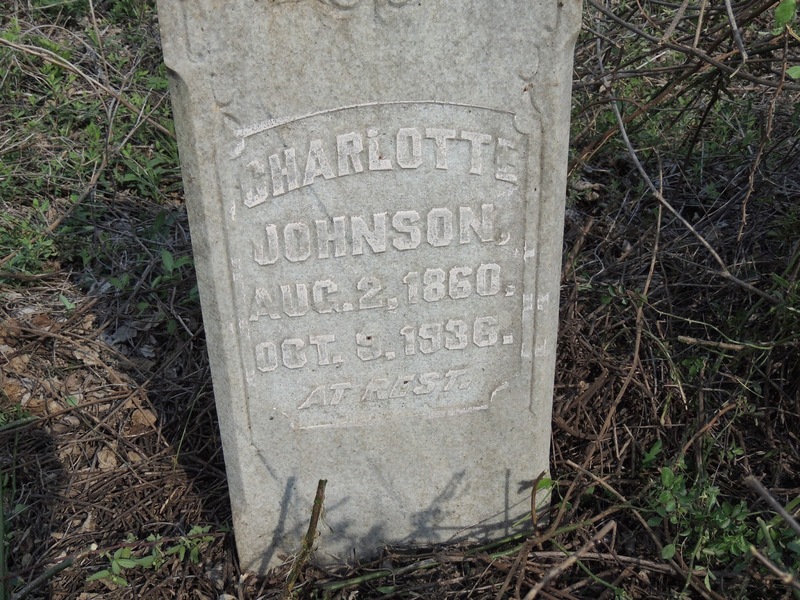 Vital information that can help you determine birth dates are often inscribed on headstones in the cemetery. 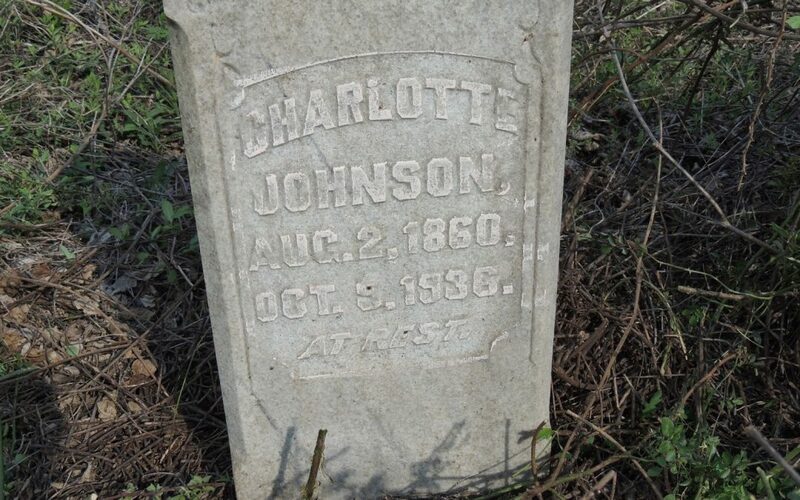 It was not until the discovery of Charlotte Johnson’s grave that we had any clue about the day she was born or died. 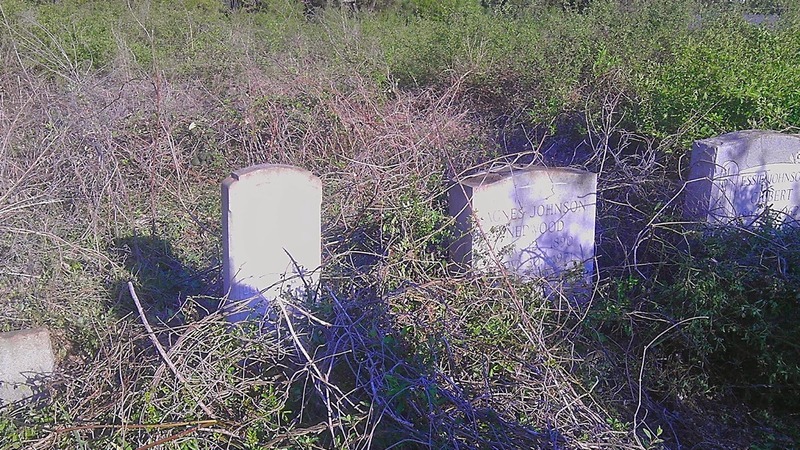 It is worth the effort to search out the cemeteries that your family used if you are missing vital information. 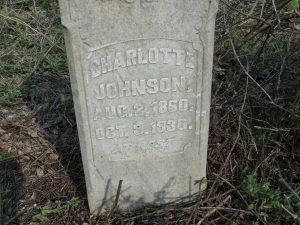 Places like Find A Grave, local county library (obituaries and cemetery books), and funeral homes can help you determine where your ancestor was buried. Do not rely solely on the details on a headstone because there may be errors. Confirm using other historical records that may exist. Census records can give you some idea of when and where your ancestor was born. If possible, consult more than one census record so that you can compare dates and places. The information on different censuses may not be consistent. After you have located your ancestor on every possible census, seek out other historical records for comparison. The 1900 Census is one of the most useful because it provides the month and year of birth, and that is very important because an ancestor born between 1880 and 1899 may not have been enumerated previously due to the loss of the 1890 Census. “United States Census, 1900,” database with images, FamilySearch(https://familysearch.org/ark:/61903/1:1:M3NM-NBF : 20 January 2015), Frederick Adams in household of Wallace Adams, Militia District 2 Savannah city Ward Gaston, Charlton, Chatham, Georgia, United States; citing sheet 4A, family 74, NARA microfilm publication T623 (Washington, D.C.: National Archives and Records Administration, n.d.); FHL microfilm 1,240,186. The Adams family above on the 1900 Census in Savannah, Georgia had a son, Frederick, who was born between the 1890 and 1900 Census in November 1894. This may be the only record that documents his birth. His mother, Hattie lost one child prior to the 1900 Census. If her child was born after the 1880 enumeration, there may be no record of the birth. Sometimes a family lived in a different location in 1900 that they did prior to the 1900 Census. If they had a child in the previous location, the 1900 Census may help you discover that place from the children’s births. If your ancestor was born prior to 1870, the 1900 Census can reveal the date and place of birth. You can then hone in on the county or parish. History: Established in the Social Security Board as the Bureau of Federal Old-Age Benefits under Title II of the Social Security Act (49 Stat. 620), August 14, 1935. Renamed Bureau of Old-Age Insurance, June 1937, following Supreme Court decision of May 24, 1937, upholding constitutionality of Titles II and VIII of the Social Security Act. Redesignated Bureau of Old-Age and Survivors Insurance, August 1939, with responsibility for administering monthly survivors benefits under Title II (Federal Old-Age and Survivors Insurance Benefits), effective January 1, 1940, of the Social Security Act Amendments of 1939 (53 Stat. 136), August 10, 1939. Abolished in HEW reorganization of January 28, 1963, with SSA Commissioner assuming direct administration of former components. Reconstituted as Bureau of Retirement and Survivors Insurance in SSA reorganization pursuant to Commissioner’s Bulletin, July 26, 1965. Assigned in SSA reorganization to newly established Office of Program Operations under Assistant Commissioner for Program Operations, by Commissioner’s Bulletin 142, January 28, 1975. Redesignated Office of Insurance Programs in SSA reorganization, and assigned to redesignated Office of Operations, Policy, and Procedures, under Deputy Commissioner (Programs), by Commissioner’s Bulletin, January 5, 1979. Redesignated Office of Retirement and Survivors Insurance, under redesignated Deputy Commissioner, Office of Programs and Policy in SSA reorganization, June 1983. Textual Records: General correspondence (“Master File”), 1936-45. Correspondence with regional offices (“Regional File”), 1936-45; field offices (“Field File”), 1936-45; and area offices (“Area File”), 1942-45. Weekly, monthly, and annual reports, 1936-40. Correspondence files of Director Victor Christgau, 1954-63.
Review the 1900 and 1940 Census to determine what you can learn about your ancestor’s birth. Share your findings on the Facebook thread for this post.